Many of us are constant users of the free ipad app, Flipboard. Jumping in and out of the app to see what is new from the feeds we follow as well Instagram and Facebook images. One spot that is often passed by until someone comments on a ‘cool find’ is the “Featured” area. The ribbon in the upper right area of the Flipboard main area turns red from time to time to remind us to tap it. 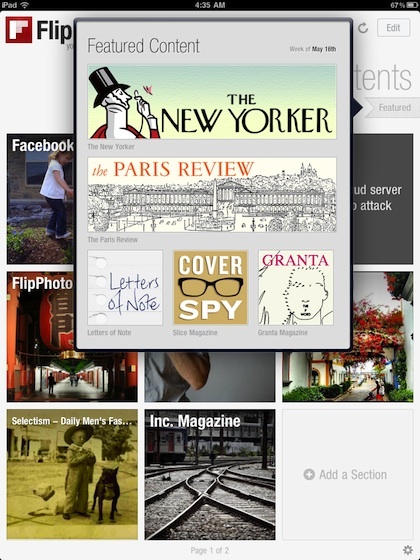 Inside is Flipboard’s new ‘featured’ feeds. It’s worth the look, they offer feeds you may not have thought of. 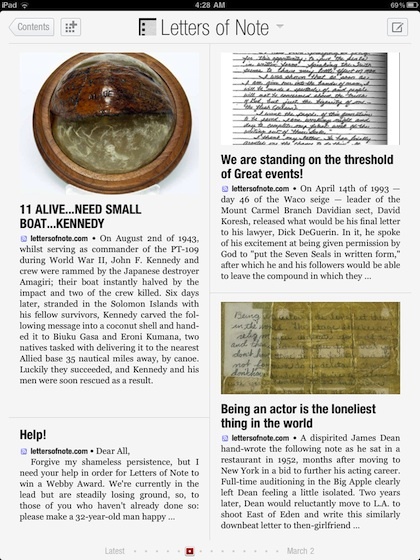 Notable add to the Feature Content area is “Letters of Note”. You can view the options in the Flipboard ‘Featured’ area without having to add to your list of regular content. If you like it, tap the ‘+’ in the upper left corner to make it a regular checked feed. 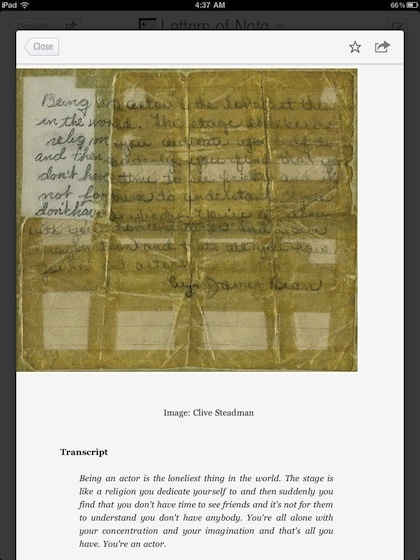 Like all feeds, opening Letters of Note gives you images and light text to flip through. When you choose one of the Letters of Note, Flipboard presents you with the original note as well as a Transcript. A handy feature since we can’t read most people’s handwriting.